VACAVILLE (KTXL) -- They look like a harmless mother and daughter duo walking into a bank. "It's a little different," Lt. Chris Polen said. 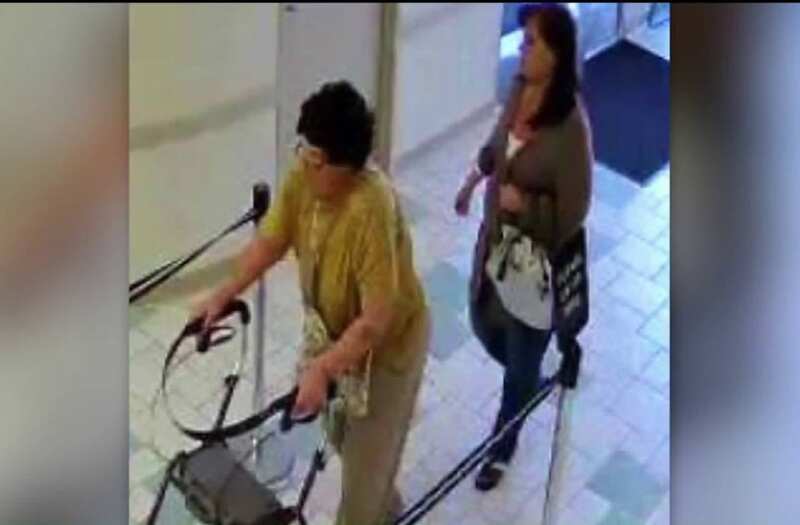 But police believe this little old lady with a walker and her friend stole $20,000 from someone else's bank account. "This tactic is very common," Polen said. This is how police say they got away with it. First, the suspects visited a Panera Bread in Vacaville and took a wallet out of another woman's open purse. Immediately after, they started using her credit cards. First locally, at Safeway in Fairfield. "They start out really small, with a small purchase to see if it's still activated," Polen said. Then Polen says they go big. In this case, the suspects branched out to other areas, walking into Travis Credit Unions in Richmond, Vallejo and Woodland. Cashing the victim's checks and withdrawing money from her savings account, racking up that $20,000. An elderly woman and an accomplice are accused of stealing someone’s wallet and taking out thousands of dollars from a bank account. The victim in this case did not want to come forward. But a strikingly similar theft happened just three months earlier, at that same Panera Bread. And that family is sharing their story. "Maybe there's more than two. There's the cane version and the walker version," Carol said. Carol asked FOX40 to keep her identity private. Back in May she was at the very same Panera Bread in Vacaville, with her mom. "Mom is 92 years old, yes!" she said. And someone stole her mom's wallet. She didn't get a good look at them, only their cane. She said in that case, the suspect created a diversion by dropping a handful of change, before taking that wallet from an open purse. "It's pretty traumatizing for her to have something like that. It's such a violation," she said. They got $300 in cash and tried to charge $2,000 to her credit cards. She thinks the two crimes may be more than just a coincidence. "If your sole purpose in life is to take things that don't belong to you, then you're probably going to get pretty sophisticated on how to go about that," Carol said. "There might be similar circumstances that are taking place in different counties," Polen said. The Travis Credit Union has reimbursed the woman for the $20,000 and are working with police in their investigation. Anyone with information on the theft can contact Detective Andrew Polik at (707) 469-4814 orAndrew.Polik@cityofvacaville.com.